For a novice, the world content marketing seems like an easy way to start promoting their products and get good returns quickly. Content marketing strategies can certainly help in improving the effectiveness of your website. You will even be able to increase the number of conversions and the overall revenue of your business. In order to achieve the multiple benefits of content marketing, you need to implement it as a good tool. Otherwise, all your marketing efforts will end up in failure. Many novices have stopped using content marketing as they were unable to use it in the proper manner. Here is a guide which details the process followed by an experienced content marketer. The approach taken by an expert is widely different from the process employed by a novice. The difference in approach is what makes the expert successful with content marketing. The expert will try to create a great piece of content. However, the objective of the content will be to increase the conversion rate and improve the SEO of the blog or website. The content will then be promoted in various methods such as social media. As the feedback for the content starts to pour in, the expert will start combing through them. Adjustments will be made to the content based on the information from the comments. The novice usually does no such thing. The experts will not stop with just a few pieces of content. They will keep bringing out new pieces of content. The new content will be optimized and delivered. The process will be repeated till the expert finds something that reverberates with the audience. Once such content is created, the audience will begin to share it on their own in the various social media networks. In turn, this will increase the social media links of the website improves its exposure. Some members of the audience can be major influencers. Alternatively, the expert may actively seek out influencers to get their content promoted. Influencers will be able to exponentially increase the reach of the content. All these activities result in the formation of huge numbers of links. The majority of them, being from high quality sources such as social media, allow the website to enjoy a higher authority. The increase in the authority will begin to affect the SEO of the website in a positive manner. The website will begin to be displayed at higher ranks in the search engines. Using the keywords, customers will find it easier to search for the website as it is displayed higher. These customers may end up converting which means more sales. Novices tend to believe that they only need to create content in order to achieve success. However, content marketing is not that simple. 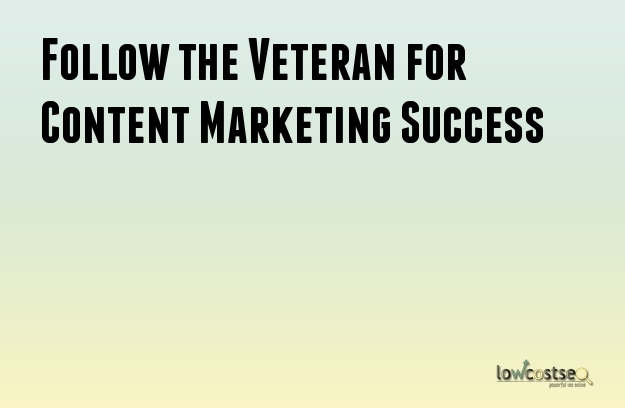 The process is long and patience is a key virtue for a veteran content marketer. The results of content marketing can take weeks or months to show. This process cannot be rushed. This is why experts find success with their content marketing strategies. Novices, on the other hand, simply give up.